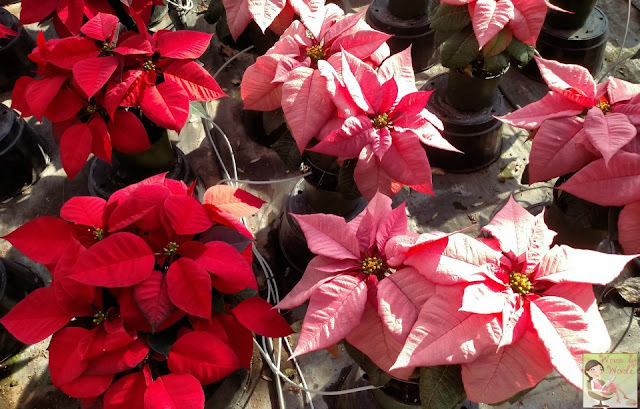 Last weekend I had the opportunity to take a tour of Greenstreet Garden's poinsettia plants. I love that they're not too far from me. The closer I am to a garden center, the better. At least in my estimation! 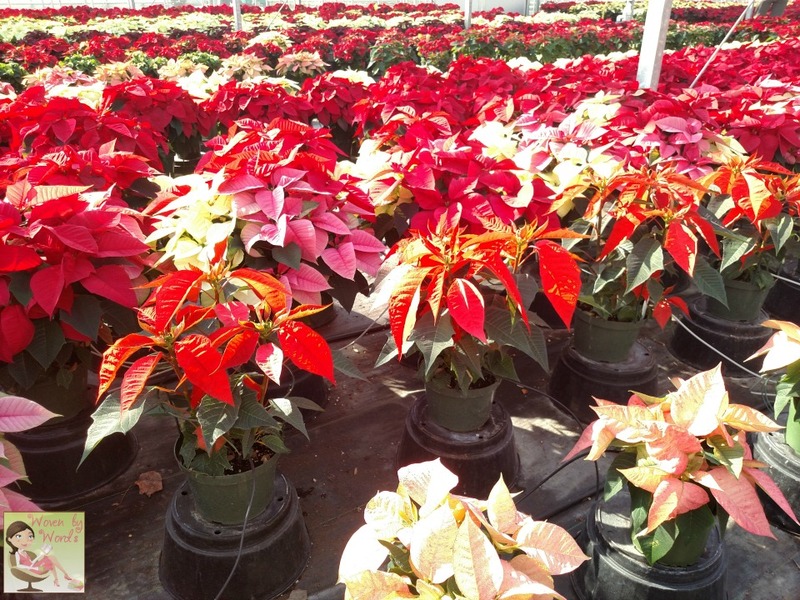 I figured touring their poinsettias would get me into the spirit of the holidays. It also gave me the opportunity to wear some fun fall clothing. A group of people met at the back of the Greenstreet Garden property by the greenhouses. We met Ray Greenstreet and his brother. They walked us down to their greenhouses, which were incredibly huge. As we walked, I started to feel super hot. I couldn't even believe how warm it was half way through November! We stopped outside a large glass greenhouse. I took notes, but don't quote me. I was trying to listen and take it all in at the same time. run off of the rain. The slower they water, the less water the plants need. As we went into the line of greenhouses, I was really cooking! I could NOT believe how hot I was. I was very thankful I dressed in layers. We saw the first room full of poinsettias and we were all stunned by the rows and rows of them. I had no idea there were so many varieties of them! Turns out poinsettias are a community plant. They grow best butted up against each other. It helps them to grow up and then out. There's also a very important timing issue. Starting September 23rd the gardeners have to make sure there are no extra light on the plants. Extra lights cause them to have growth issues. Ray was saying even car lights driving by would have an effect. Who knew?! 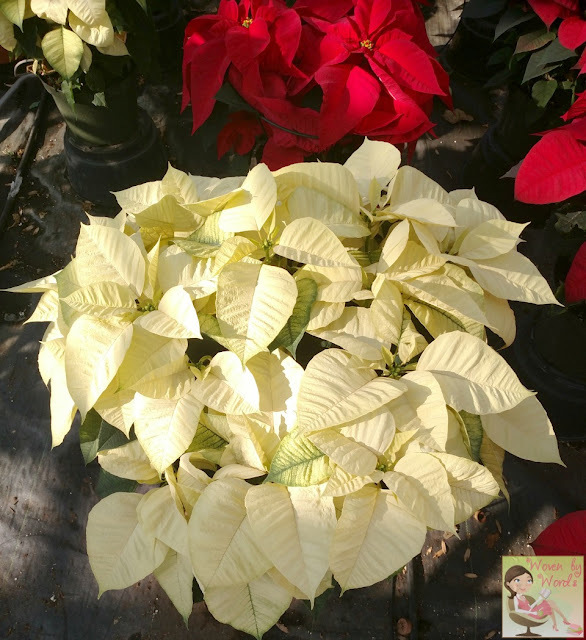 Some varieties of plants have different response times ton bring them into full bloom. That's definitely helpful to growing them. They even have trees that start growing in April! Can you believe it? One of the cool things about Greenstreet Gardens is they started reaching out to stay at home moms and dads to give them employment. They needed people to do a variety of jobs, and they could show up to work after the kids were off to school and be home by the time the kids got off the bus. Isn't that awesome? That's why I always loved working at Menards. I was able to do that exact same thing! They're also looking at employing vets and people from the inner city. Unfortunately with those two groups of people there is a lot of red tape and things they have to follow. I'm really looking forward to getting the house set up in everything Christmas when we get home from Williamsburg. I'm in the camp of saving Christmas decorating for the day after Thanksgiving. I've already got a ton of stuff ready to go. I wish I had more spots to put poinsettias. I am absolutely in love with the Jingle Bell Rock variety. Those are the ones I want to have around the house! I also love the variegated variety. I can't remember what it's called. There's also a fiery orange one that is really interesting. I wish my phone camera would've captured the colors better. It's days like last Saturday that I wish I had a great point & shoot camera. That or at least a better phone. Keep it warm. Temperature below 50°F shorten the plant's life. 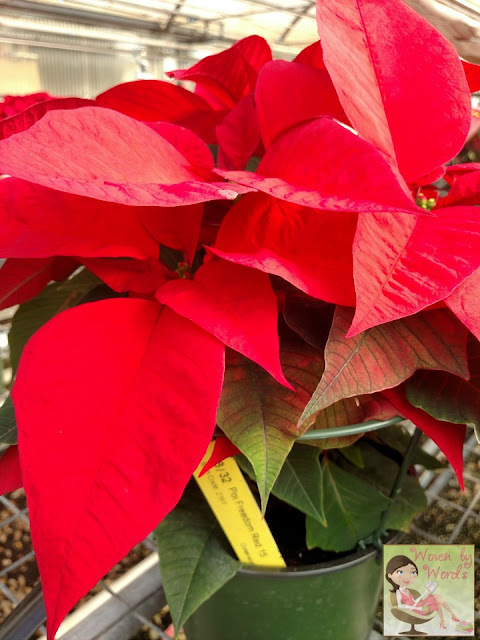 Have you bought any plants for the holidays yet or have you started decorating? I have a hard time keeping these alive, so I buy late in the season. I love all the colors. My favorite is one that I only see here in Missouri, it is a lime green with pink veins. Gorgeous. 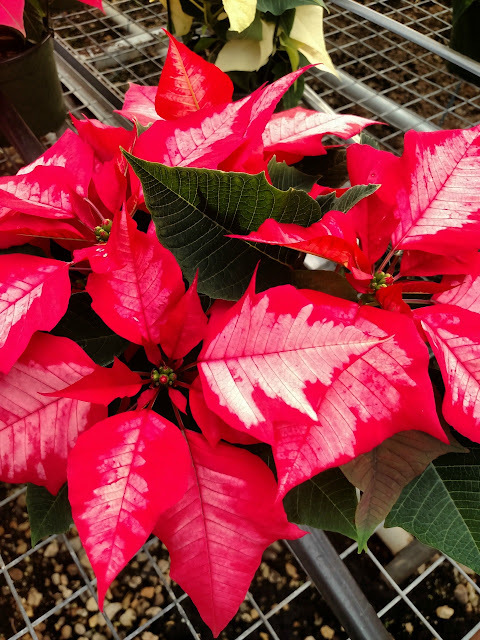 That must have been a wonderful tour, especially with the valuable information about the variety of poinsettias and the irrigation system they use. 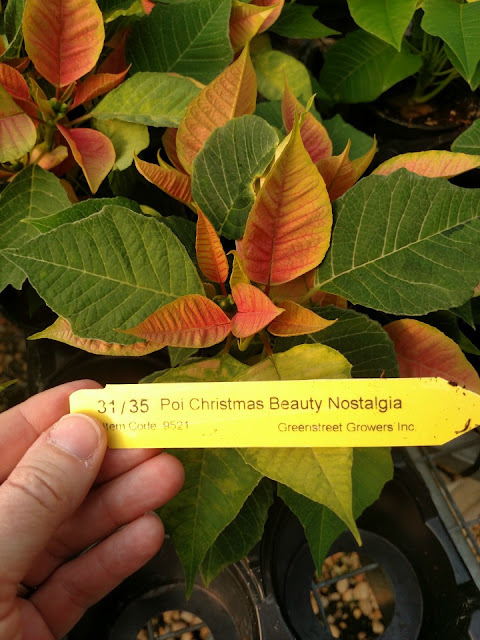 I haven't yet started decorating my house, but surely I'll pick information from your post on choosing the poinsettias. These photos remind me of being in horticulture class in high school. 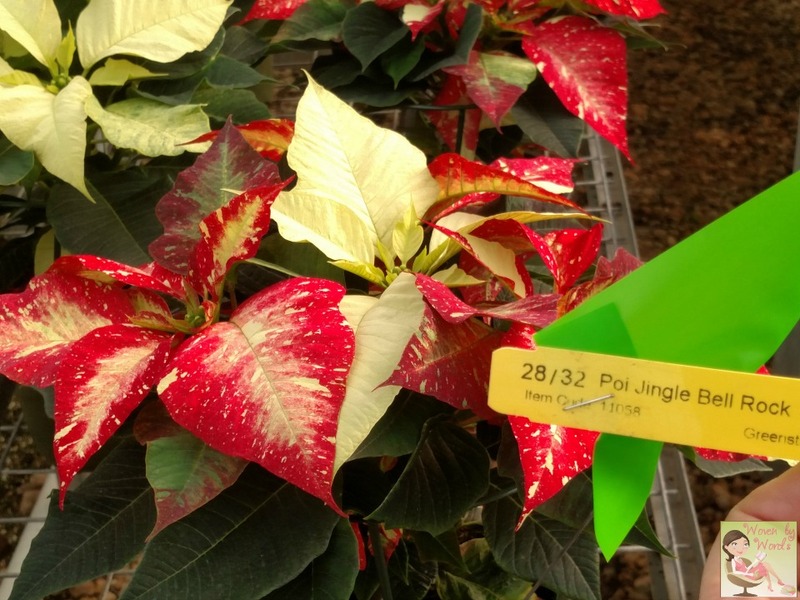 We grew poinsettias to sell as a fundraiser. I love their bright red! We have put up our tree and decorations in our home, but I need a poinsettia or two to finish off the look! I have been decorating like a fool all weekend and think some poinsettias would be the perfect finishing touch! I am awful at keeping plants alive but want to try it! Love these holiday plants, but I never get them because I have a kitty. I have heard that they are ok for cats...then I hear people say no. So, I stay on the cautious side. But, how cool how these plants grow better when closer together! I never knew that! I love this post! So interesting. Poinsettias are my favorite Christmas plant and I totally didn't know they did better in communities. I totally need to go to my garden center nearb and get some things!! You've made me so excited! 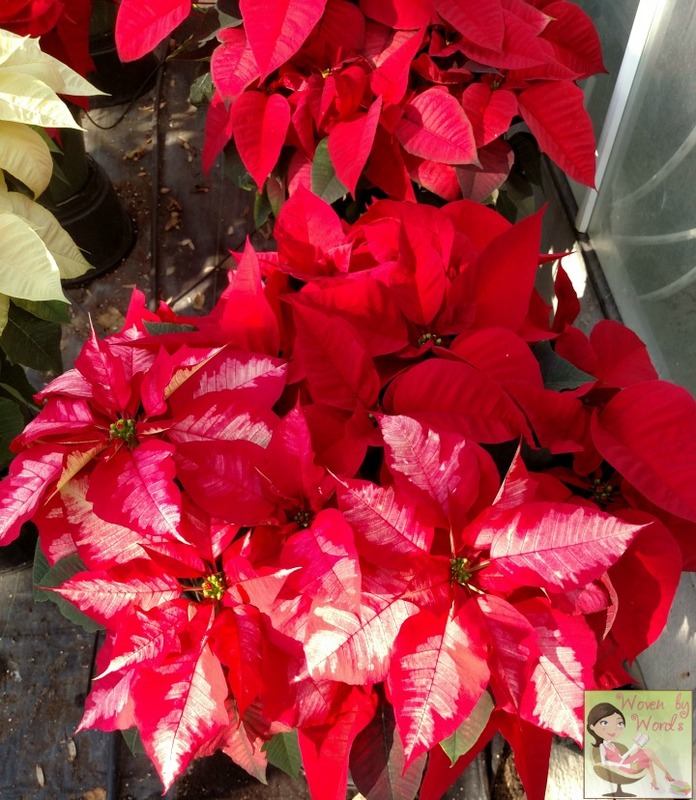 This looks like such a beautiful poinsettia garden! My husband loves these around the holidays, I love them too. 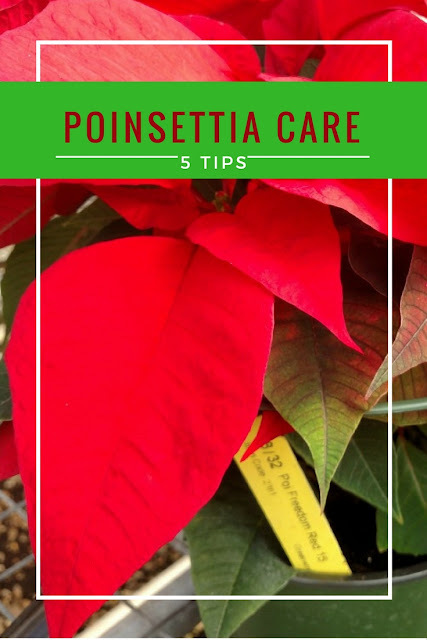 I didn't realize that poinsettias come in so many colors and varieties! I love them but one seem to kill them quickly, and two. I was told they are poisonous to my curious pets or I'd fill my house with them! Wow! What a pretty place, I would love to walk down the rows and rows of flowers! 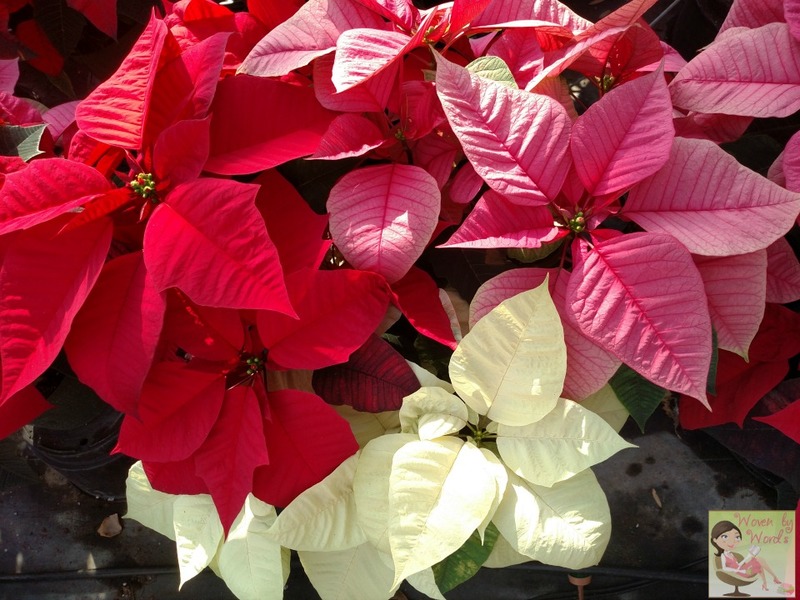 It's been a long time since I've seen some real poinsettias and the bright red colors. I had no idea they required such delicate care, so I was very intrigued to read about how the lights can affect them and cause growth issues. Wow these plants are gorgeous. 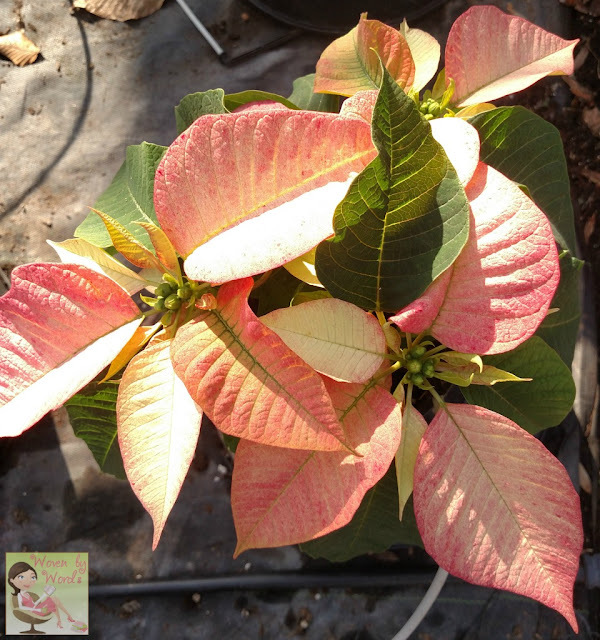 They remind me of my dear grandma, she loved growing plants like poinsettias. I love poinsettias! I started decorating the living room and we have lights up outside--I love Christmas time. 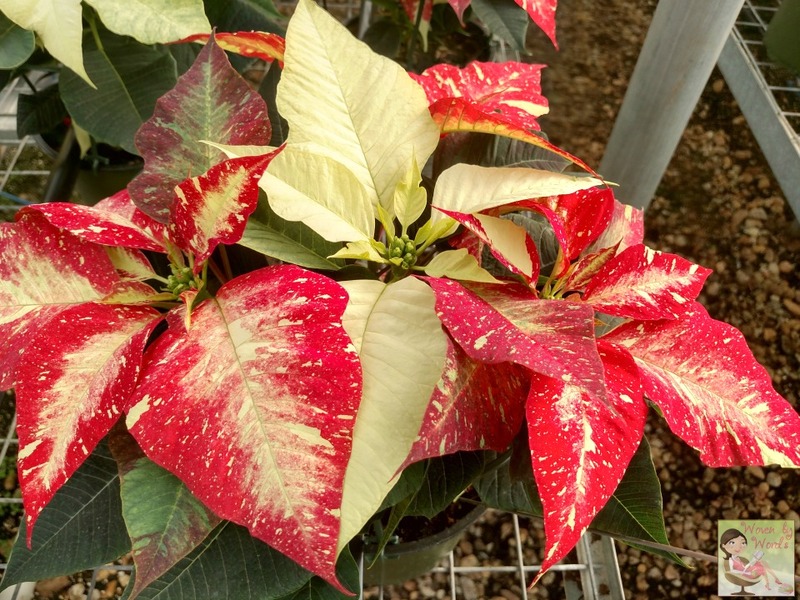 But I need poinsettias for my front porch. The problem is like Amanda, I'm awful at keeping plants alive too! Oh my goodness, SUCH beautiful flowers! I need to go buy a few poinsettas for the holiday season! 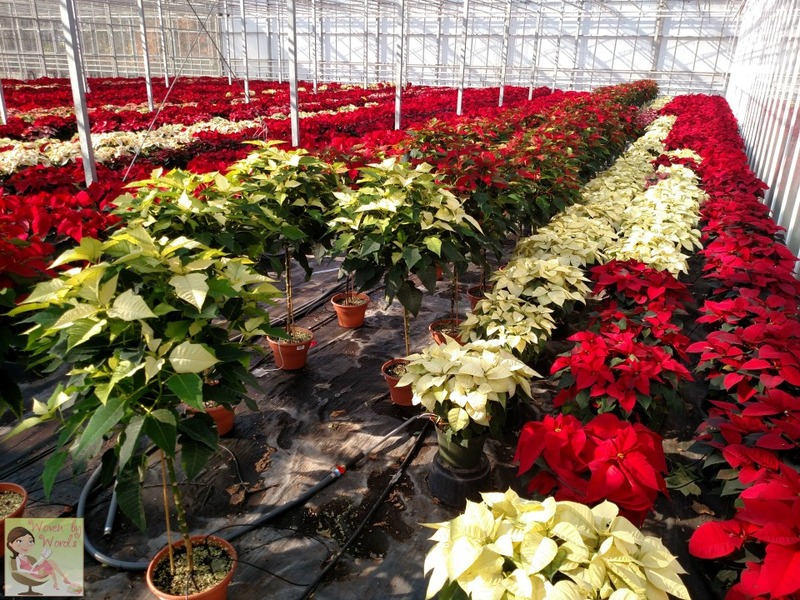 SO many beautiful poinsettias! I have never seen some of those colors! I love them, but unfortunately, I am highly allergic!! I have a friend that gets me a poinsettia every year. I really like that Jingle Bell Rock one! These are so beautiful and festive! I love the inspiration to decorate for the holidays. Lovely colors. I haven't started decorating yet. I've been working on a lot of Christmas Art. It's all on my website now after the show I was in before Thanksgiving. People are using it to decorate and for gifts. I've had a lot of fun. Now I'll decorate! I love poinsettias but I can't have them because they are toxic to cats and my cat loves to eat plants. They sure are beautiful though. I love how pretty they look, my church always decorates around the front of the sanctuary with them during the holidays! I really need to start decorating! These plants are gorgeous and now I need to get at least one this year. We've been on vacation all week and I can't wait to go home and decorate for Christmas! My kids can't wait either! 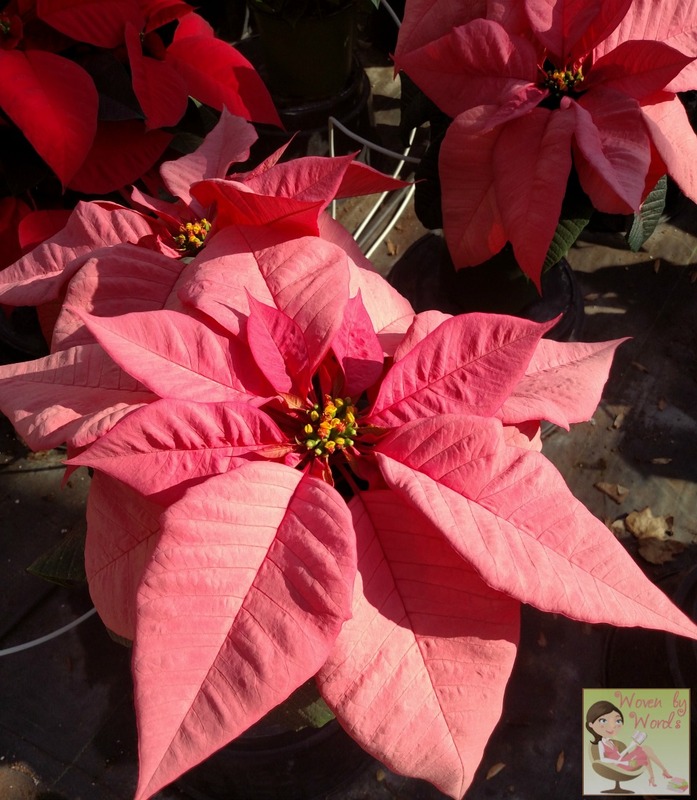 I love poinsettias, they are so gorgeous! I wish I could have them filling my house during the holidays but we have too many pets, lol! Wow! This sounds so Great!! I love all your pictures of the Poinsettias, they are so beautiful at this favorite time of year. Poinsettias are my mom's favorite. Every year I can look forward to them during the holidays. I just moved so no plants yet. Hoping we have everything arranged this weekend to start decorating. I had no idea about that lights fact, super interesting! OMG these types of plants are real. I will be honest I've only seen these in the plastic artificial version. These definitely put you in the holiday spirit.